Comments: The second piano concerto, called op.10 by the composer. 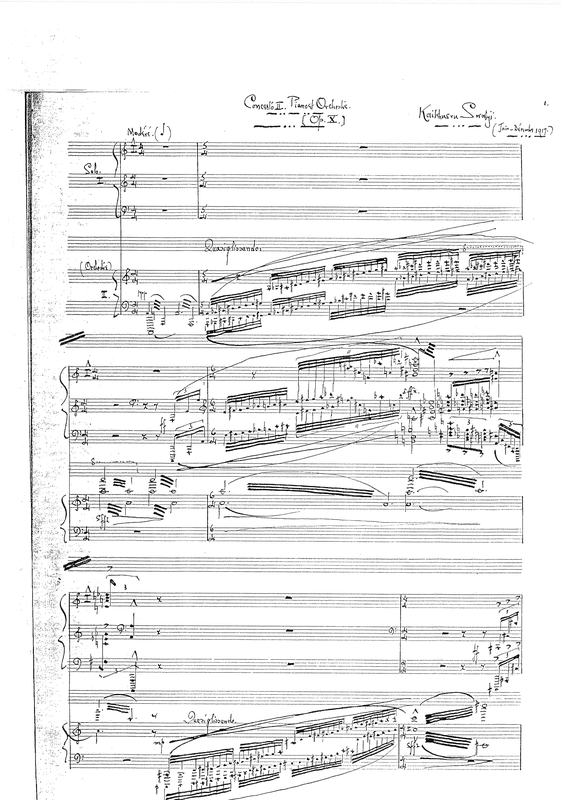 No orchestral manuscript is known to survive and only one vague reference to one is documented in Sorabji’s June 1917 letter to Philip Heseltine in which he wrote “I don’t know what you will think of Concerto II. I am bursting to play it to you. I think it is miles beyond I. The orchestra is as “megalomaniac” as before with the addition of Organ a 4th Trombone a picc. Clarinet a Bass Oboe (!!) and Caisse Claire but it is used very sparingly.”; this would appear to suggest that the composer had indeed produced a full orchestral score of the work by that time but its subsequent fate remains unknown. The extant manuscript is a two-piano reduction.